I always thought that my older sister had invented bread tarts. Sunday afternoon would often find us pressing buttered slices of Mother’s Pride into bun tins and spooning in various concoctions of egg, cheese, bacon and mixed herbs. Bread tarts are perfect for children to make – no messy pastry and you only need a concentration span of about ten minutes. The tart ‘cases’ come out surprisingly crisp and most people never guess that it’s essentially flat toast. Perfect for a picnic or as canapés. I was thinking about likely partners for Cheshire cheese when I came across a jar of homemade marmalade in the fridge. It seemed a perfect combination and it is; the sweetness of the marmalade against the saltiness of the cheese and both of them with a certain tang. I’m not alone in my appreciation either; apparently cheese and marmalade is quite the thing in parts of Scandinavia. I’m sure that more traditional combinations – Wensleydale and cranberry, goat’s cheese and red onion marmalade – would work equally well. The Other Half thought that I’d made ‘Cheshire Cheese and Marmite Bread Toasts’ but that would be wrong on a number of levels. Cut the crusts off the bread and roll it out flat with a rolling pin. 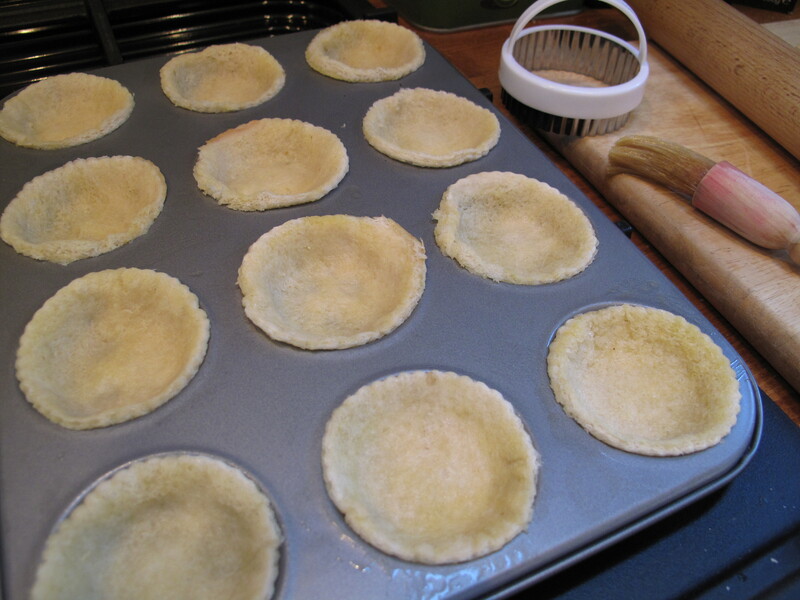 Cut into rounds with a glass or pastry cutter and brush the circles of bread on both sides with the melted butter. Press into a baking tin. Bake at 200˚c / 180˚C fan assisted / Gas Mark 6 for 10 minutes. The bread should be turning golden and hard. 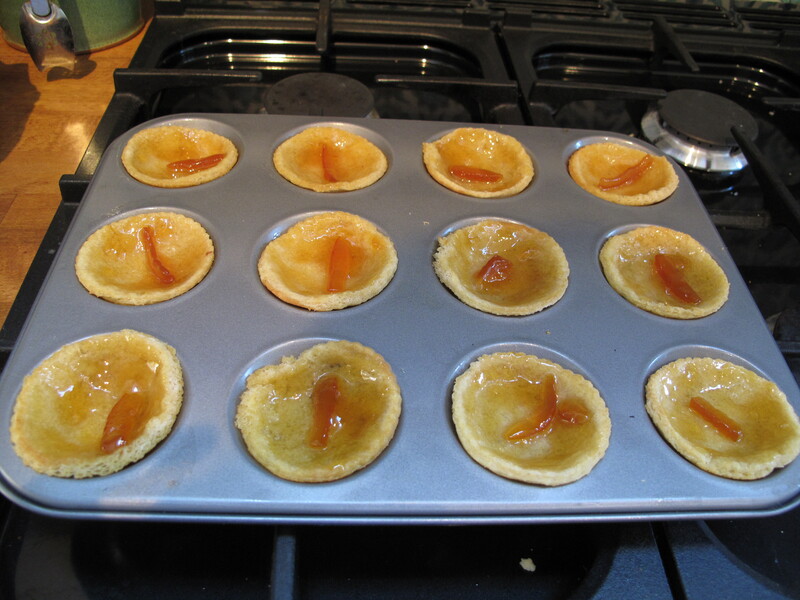 Smear the inside of the bread pastry cases with marmalade; mine is thick cut so I popped a few chunks in too but it really depends on how much of a marmalade-lover you are. Mix the egg, cheese, crème fraîche and thyme leaves together and spoon into the cases. Do not over fill. Bake for a further 15 minutes until the filling has set. Delicious warm or cold. 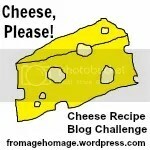 Because this recipe includes Cheshire cheese, I am including it in the Cheese, Please! Recipe blog sharing challenge hosted by yours truly. Further details of this month’s challenge here. These bread tarts would make perfect picnic food or summer nibbles so I am also posting them to the Four Seasons Food Challenge. Yum! These bread tarts bring back wonderful childhood memories. (Are you sure we aren’t related?) 🙂 Not that its relevant to a cheese blogger but I used to put Seville marmalade in my bacon butties. Marmalade goes well with so many things – as does cheese!!!! Hmmm, marmalade and bacon – that could work. Not that dissimilar to maple syrup and bacon really! Just seared some prosciutto and had it on toast with marmalade – I can confirm that hickory smoked crispy streaky bacon is better. 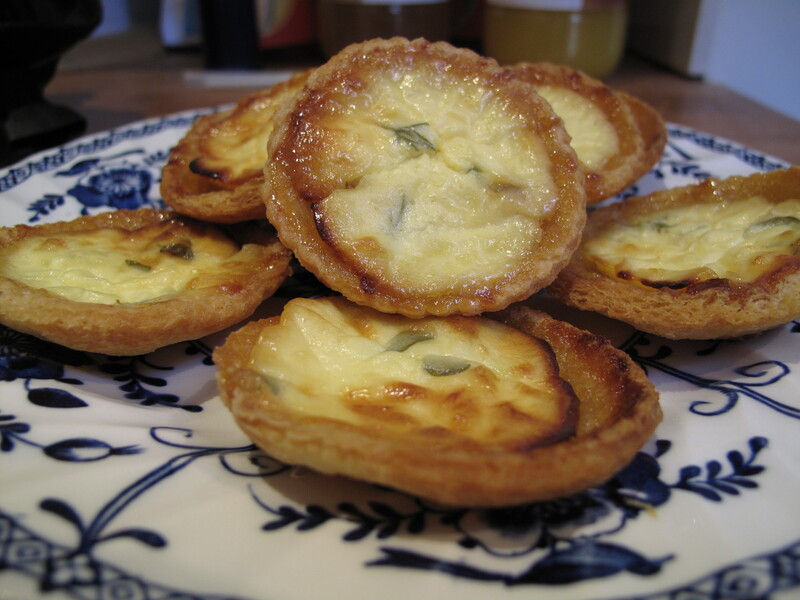 Wonder if bacon crumbles would work with your bread and cheese tarts with marmalade? Just learned of this new challenge, so I am hoping to submit a recipe soon, but first i want to say thank you for introudcing to me a new dish. I like the sound of it very much, esp as its vegetarian too. Would be a great appetizer. I look forward to your entry 🙂 Yes, once you’ve made the ‘cases’, the filling can include whatever you like. Mine were quite small so would have been an ideal canapé.